Ready to head out on the ultimate camping adventure? Looking to be a long term traveler but not sure how? Sick of sleeping in uncomfortable and sometimes gross hotels? If so then you need to come to your local Airstream dealer of Wisconsin and see one of the many Airstreams for sale. Ewald’s Airstream of Wisconsin has every kind of Airstream for sale that you can imagine, and with new stock arriving annually, you are sure to find the Airstream trailer that is perfect for your in Franklin, Wisconsin. When it comes to Airstream trailers for sale, there is size and shape that fits everyone's needs. If you are single person or couple looking for the ultimate weekend away travel trailer, then you need to come and see the Airstream Bambi line for sale. The Airstream Bambi is any single axle trailers for sale. That includes the go anywhere and do anything Airstream Basecamp for sale. This Airstream Bambi trailer was created for those who are looking to take the path less traveled. This Airstream for sale can comfortably sleep up to two people and offers creative solutions for storage. The Airstream Basecamp is compact enough to take on the most remote paths while still allowing for the creature comforts of home. This Airstream trailer for sale comes with a full bathroom and kitchen with covers for both the sink and stove top for added food prepping space and storage. A back hatch allows you to access your larger items such as bikes and kayaks with the hassle of trying to get to them from the front door. However is a single axle Bambi trailer for sale is not what you are looking for come and the larger and more luxurious Flying Cloud line for sale. 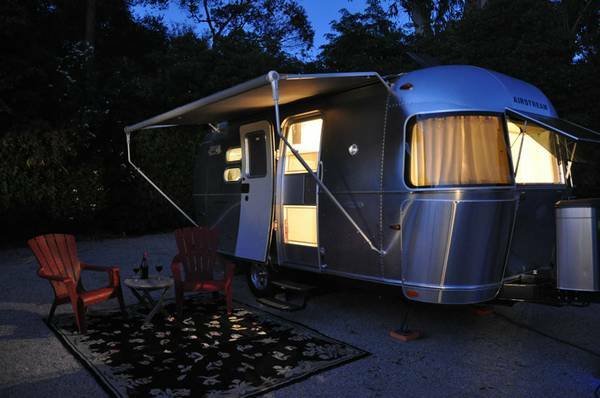 This Airstream trailer for sale can easily sleep between four and six people at a time. With over ten different layouts to choose from it is no wonder the Flying Cloud has been one of the most popular brands of Airstream trailers for sale. The Flying Cloud comes with everything from a built-in water heater to a built in AC unit making you as comfortable as if you were sitting at home. The Entertainment Center features a LED TV with a Bluray and DVD player as well as the option for cable TV. 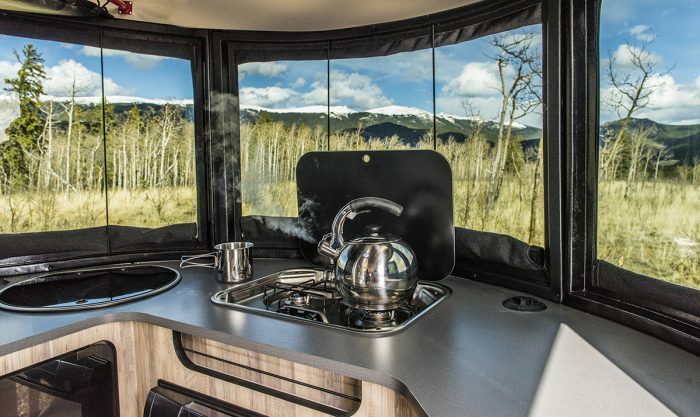 The Flying Cloud 20 is the perfect combination of camping and creature comforts. 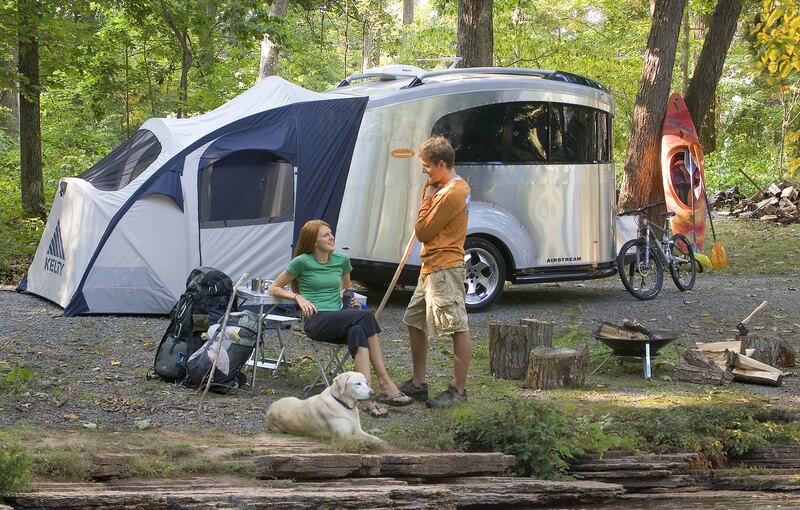 You can count on your Airstream trailer to last longer than its cumbersome and bulky competitors. Come to your local Airstream dealer in Wisconsin and see one of the many Airstream trailers for sale. Whether you are looking for a trailer to have a Family cross-country road trip in or just want to be a weekend warrior, there is an Airstream trailer for sale, for your in Franklin, Wisconsin. Ewald’s Airstream of Wisconsin is located at 6319 S 108th St in Franklin, Wisconsin 53132.